I am so pleased to be announcing my first giveaway here on my blog. It actually works out so well, because when I announce the winner my blog will be exactly one year old! The giveaway will run from 9th November till the 30th November, so it gives everyone plenty of time to enter. I will announce the winner on the 1st of December. 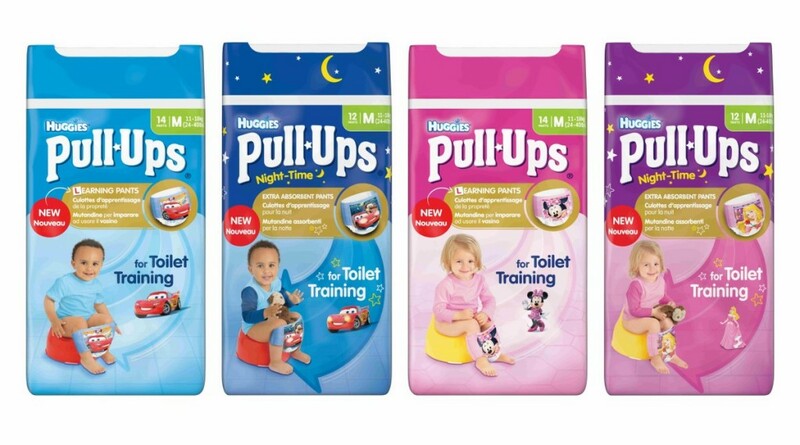 I have always loved Huggies products, and have used them since Sophia was born. We recently visited the Discovery Centre with Huggies Pull- Ups. I had never been before and it was lovely to see the children have lots of fun. We met the lovely Amanda Jenner, the founder and inventor of My Carry Potty, she is known as the UK’s potty training expert. She had some invaluable advice for us and it was lovely to hear her own stories with potty training her own children. I came away feeling confident to go ahead and start potty training Archie. When speaking to Amanda she agreed that he is most certainly ready. This of course makes me realise my little boy is growing up and soon I will have two children out of nappies. That scares me a little bit. But of course I am so excited to see him learn and develop even more. Since speaking with Amanda Archie has used the My Carry Potty twice at home. He is really showing so many positive signs that he is ready. He is especially proud of his very own bee My Carry Potty which he chose himself. 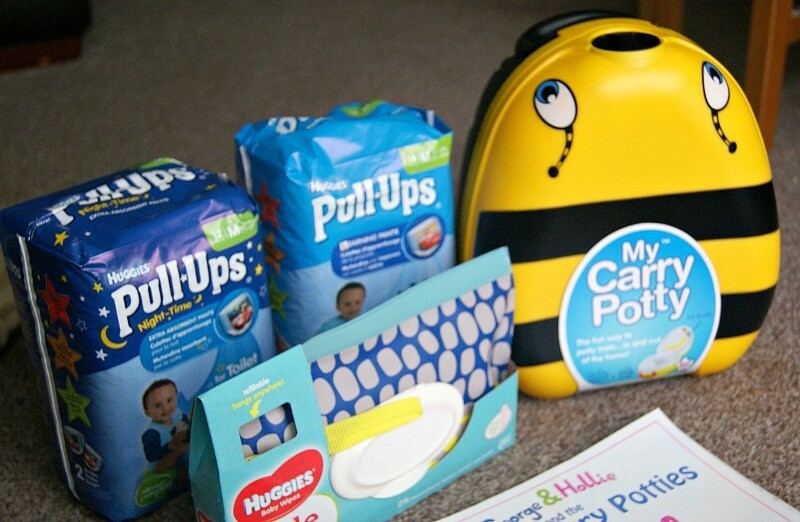 Since attending the event and being so impressed with Amanda’s ethos around potty training and encouraging children positively to use the potty, I am teaming up with Huggies to offer you a really fantastic giveaway. Here is a list of the prizes on offer. 3. A copy of Amanda Jenner’s book, George & Holiie and the Magic Carry Potties. Which includes a reward chart and stickers. 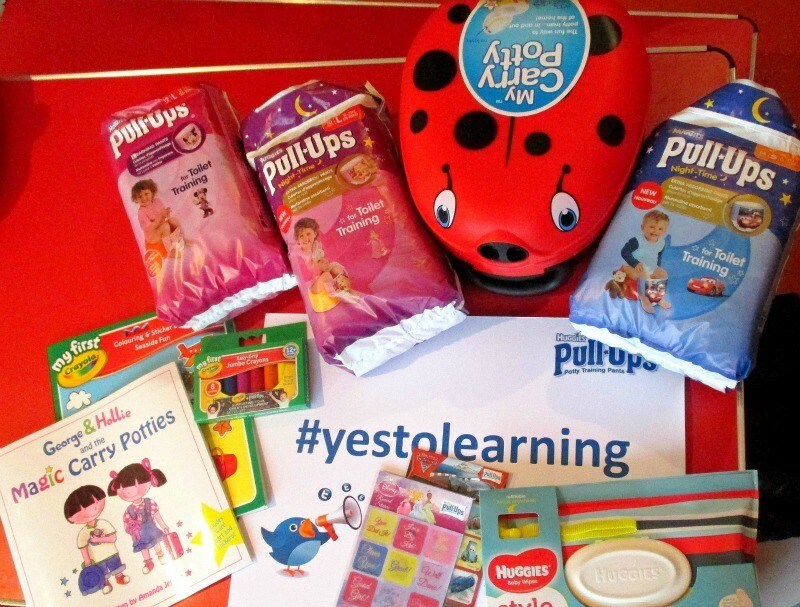 Please click on the Rafflecoppler below to enter the competition and be in with a chance of winning your little one their very own My Carry Potty and much more. I look forward to announcing the winner. Good luck. I need to start potty training my youngest, but I am just not ready to let go of my little baby just yet. They always say the second will potty train earlier as they have a bigger sibling that they want to be just like, but this hasn’t happened here!!!! Maybe a lovely Carry Potty my persuade her. If I was lucky then the lovely CarryPotty ladybird potty. I would choose the bee Carry Potty if I were to win! I would love the ladybird potty. yellow & black one for the nieces littleone! I would chose the ladybird. I would choose the ladybird I think. What a lovely competition! We’re just approaching potty training too, so this would be perfect!! Those potties are amazing. Love the bee but they are all so cute. I’ve been trying to potty train DJ on and off all year, he will 3 in January but refuses to sit on our potty. I’ve tried everything and nothing will tempt him. I love the bumble bees! I would choose the lady bug if I win. They are all so cute! I would choose the ladybird potty. I like the bumblebee potty! The bumble bee!!!!! Too cool, first time seeing these!!!!! The Bee one would be great. Just started potty training! cow potty, be happy with any really theyre all nice.